The Wim Hof Method follows a three pillared system to make you the best version of you. These three pillars, Cold Therapy, Breathing and Commitment, combine to provide you with a wide variety of benefits. Hof claims that using these three techniques together can boost your immune system, improve mental health, increase sports performance, relieve stress, get better sleep, have more energy and increase your willpower and creativity. In terms of heath, Hof claims specifically that his techniques can provide relief for those suffering from fibromyalgia, arthritis, COPD and depression. While these are lofty claims, there is evidence to back up what he says. Our bodies react to cold with two initial responses, known as acute responses. Acute responses include vasoconstriction; the constriction of our blood vessels; and shivering. Vasoconstriction is good for your blood vessels as it helps them maintain proper function, which results in better circulation. Shivering is the second type of acute response, also known as shivering thermogenesis. When you shiver, you are decreasing the heat that your body is losing, while also increasing your metabolic heat production. But what about the in-between temperatures? Research shows that some really interesting things happen in the temperatures between when you’re feeling warm and when you start to shiver. For instance, fat oxidation increased by 72.6%! And it all happens in the first 30 minutes of exposure, when the participant feels the least discomfort. Your body stores two types of fat: white and brown. Brown fat is the lesser known variety that can have some major health benefits. Also know as BAT (brown adipose tissue), brown fat functions almost more like a muscle, storing energy and burning white fat when activated. In addition, when brown fat burns, it burns calories and creates heat without you having to shiver. 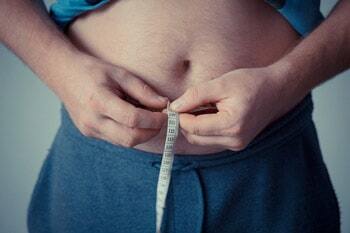 In your body you also have two types of brown fat. There is the kind that you are born with, but there is also the “recruitable” type which is white fat that can be turned into brown. This is where the cold comes into play. Turning the temperature down can actually turn white fat into brown. Research has shown that as little as two hours a day in temperatures around 66 degrees can make that change happen. You don’t need to be swimming in an ice bath to get those benefits! It may seem backwards to think that exposing yourself to the cold would actually help keep you healthier. Most of us associate getting a cold with being cold, but what if we’ve been wrong our whole lives? This is yet another claim of Hof’s that has some scientific proof to back it up. Research published in 2016 was able to show that ending your shower with cold water, while maybe unpleasant for some, does provide health benefits. Participants were placed in groups that for three months ended their shower with either 30, 60, or 90 seconds of cold water. These groups were then compared to a control group that did not finish their shower with cold water. Results showed a 29% reduction in sick days taken by those that blasted themselves with cold water every day. While this may not be as extreme as the claims made by Wim Hof, it is certainly food for thought. You may be thinking, “I don’t want to climb Mount Everest in my underwear…so why should I freeze myself?” This is a totally fair point, but you don’t need to immerse yourself in the Wim Hof Method to get some positive results from cold exposure. There are some much tamer methods you can use. Don’t bundle up so much when you go outside. If it’s cold outside, let yourself be a little cold. It’s ok to feel the outside when you’re outside. 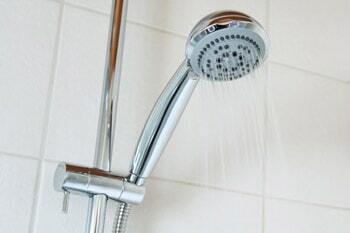 Take a brief blast of cold water at the end of your morning shower. Not only will this help your immune system, but it will definitely help you wake up! Lower the thermostat in your house. As we mentioned, you only need that temp to get down to 66 degrees to start turning white fat into beneficial brown fat. Not all of us want to win Guinness World Records, but we can still use the cold to help us live healthier lives. Embrace the cold and benefit from it along the way. Learn more about the Wim Hof Method and decide for yourself if it’s fact or myth.